First and foremost, what is “onboarding”? 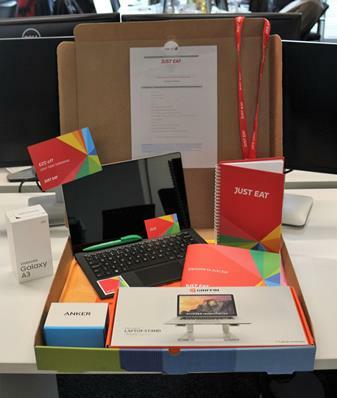 We frequently see great examples of onboarding, desks laid out in a welcome-fashion. On LinkedIn (home of head-hunters!) there are often updates with images, like those shown below, typically getting a high number of likes and comments. 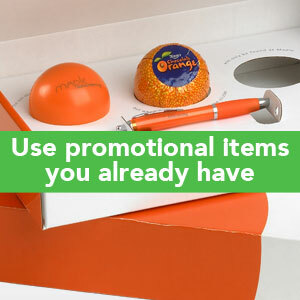 Here at BoxcoUK, where perfect presentation is really our thing, we regularly get asked for on-brand, onboarding sets, packed-perfect (and all’s well, when you have a staff onboarding budget and in-take of 80+ per year – but it doesn’t work out quite the same, when you’re averaging less than one new member a month). None-the-less it’s important to get it right, if you want to secure a loyal employee. 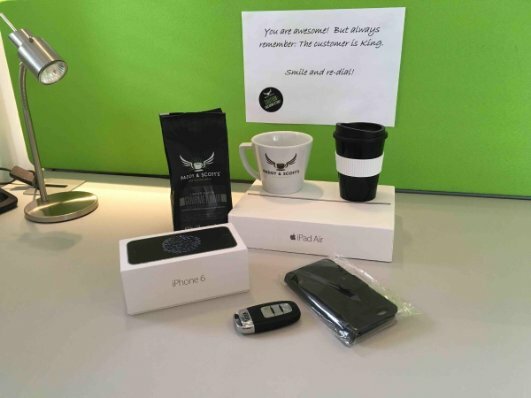 With this in mind, we’ve come up with an easy way of doing onboarding, that still looks great, alongside some content-ideas to help engage staff from the point they agree to join your team. Obviously, you’re going to have your own ideas about what important elements are needed to make up the perfect onboarding pack, but we hope this helps. Thinking about the time between when the person agreed to come to you, and their start date (LinkedIn Talent Solutions calls this Pre-boarding). If this is a few months, you may want to think about engaging your client in a regular way during this time. Even an email would help. How much you put into this is down to you – think about the potential value of that staff member to your organisation, the value of securing them for the long-term, and whether you want to save them having second thoughts during that period and staying with their current employer or, worse case, looking elsewhere. Have they got this information from earlier interviews, or could these be part of your engagement programme, sent to the candidate in a structured way. Staff lunches, cars, company traditions, differing opening hours… e.g. early close Friday. Add some humour, nothing to put them off but here’s your chance to mention when they might be expected to help out, which day the cleaner comes and when to avoid tripping over the hoover. Do you need to let them know about where they should park, where staff are expected to hang their coats, put their bag, all the hum-drum things that are going to turn that first scary moment into an easier ride and a more enjoyable experience for both the new staff member and their colleagues. 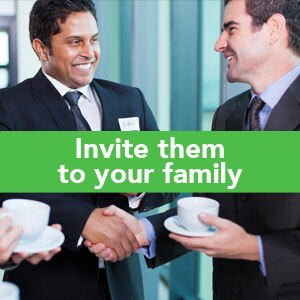 Whether you send it ahead, or you put it on their desk (or both)… Why not “Invite them to join your family” – build a pack that appeals to their family situation, spouse, kids (whether you’ve taken an interest to find out will speak volumes) and gain a long-term commitment to your company. Clearly, for this, you’ve got to have a family to join, so you’ll need to think about setting this up with your existing staff ahead of pushing it out through HR. 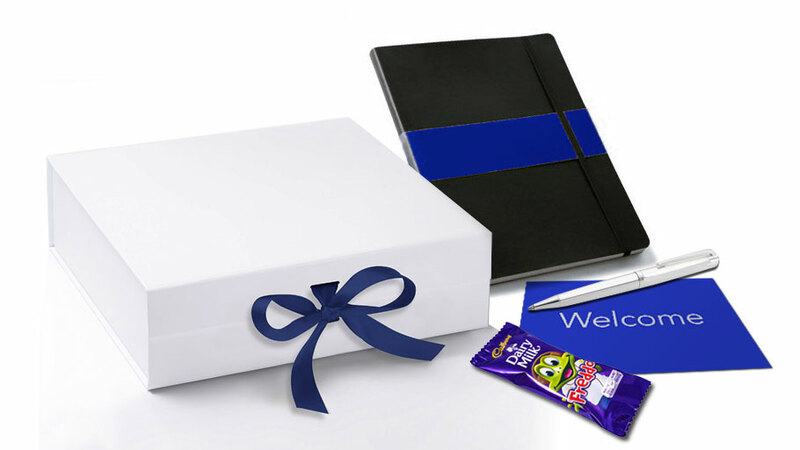 OUR SUGGESTION is a pack of 12 Luxury gift boxes (Black, White, Silver or Red), with a magnetic closure and coloured grosgrain ribbon. Pick a ribbon colour that works well with your brand, and possibly tissue paper, to hold the gifts, with added elegance. CONTENTS Fill with gifts from the list above. No limits here. GIFT TAG OR GREETINGS CARD You can add a gift tag made from a business card or compliment slip, or a greetings card, for a personal and welcoming touch.